On behalf of SMARTlab and the new Inclusive Design Research Centre of Ireland @ UCD, in association with Kila & Igloo Productions, we are are proud to announce the launch of ‘BB Agus Bella’, a new magical learning adventure series for TG4. The series premiere starts 23 December, with ten episodes to be aired live each morning of the holiday season. Enter a world where everyone is safe to explore and where different abilities are all equally encouraged and embraced. Put on your own magic spectacles and join the adventure! Featuring the voices of Don Wycherley, Carrie Crowley, Doireann Ni Chorragáin, and Eithne Nic Enri. Creative Character Development by SMARTlab with Igloo Productions. Pedagogy and Educational Rubric by Professor Lizbeth Goodman, SMARTlab & IDRC Director, School of Education @ UCD. Music by Colm ÓSnodaigh, Eoin O’Brien and Tara Baoth Mooney. Irish language translation by Colm ÓSnodaigh. Videography by Aisling Kinsella, Aine O’Meara and Enda O’Dowd for SMARTlab. Produced by Brian Willis, Igloo Productions. 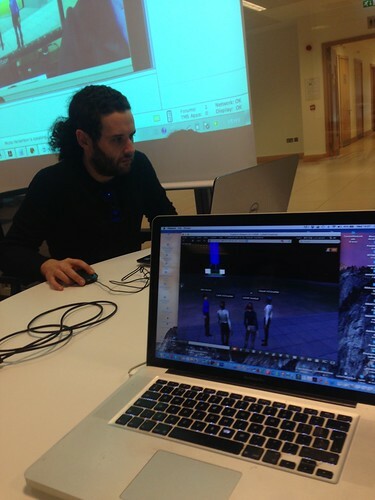 Newsflash: ‘Hippocratic Innovation’ live feed discussion/Games and Technologies for Ethical Learning/ today in Bilboa!